Take this quick quiz to learn WHY pets are not welcome in many hotels, neighborhoods, and parks and if YOU are partly responsible for rejection of the dog you love. Do you take a plastic bag to “pick up” after your dog and throw waste in a trash can? Do you pickup at home, in parks, hotels, and on vacation? Do you keep boulevard and trash cans secure? Do you use a “flex lead”? Do you allow your the dog to run at will through yards and out into the street? Do you secure your pet during July 4th, Christmas, Thanksgiving, and various holidays? Do you monitor your dog or do you allow it to jump on smaller dogs walking with other dog owners? Do you address aggression issues? Do you care for your pet’s coat or do you take it to a groomer and expect the groomer to restore your pet’s coat or a minimal fee? For “breed specific” cuts, enlist a certified groomer. Do you know hygiene cuts “ward off” kidney infections, maggots and flea infestations? Do you allow your pet to jump on people with health issues? Do you allow your pet to jump on strangers? Does your pet stand back when company enters your house? Do you REALLY think everyone loves dogs? Does your dog bark consistently if tied or fenced in the back yard? Do you address your neighbor’s complaints? Do you know an underground fence protects only YOUR dog and does NOT prevent larger dogs from entering your yard? This may cause serious damage to your pet. Do you leave your pet or child inside a hot car in summer? Do you allow your pet to run free in the veterinarian’s office? (STOP THAT) Consider others with their pets and understand dogs go to the vet because they are SICK! Do you leave your dog unconfined for long periods of time and allow it to cause damage to personal plants and items? Do you allow your dog to “mark at will”? Do you respect another’s property? Do you spay or neuter your pet or do you fill the humane society with unwanted animals? Do you wash bowls or do you feed rotten food carried over from prior feedings? Do you make sure clean water is accessible? Do you allow your dog to run the fence between houses, thus aggravating other pets and owners? Do you keep proper bedding for your pet both summer and winter? Do you socialize your pet? Do you realize using severe collars or tie outs damages your pets vocal chords and neck? Do you place your pet in a proper home if you are required to relocate? Do you keep immunizations current? Do you clean the immediate area your pet resides in or do you allow feces and dirt to build up in your run? Do you respect rental property, clean up vomit, feces, and urine? Do you notify your landlord you have a pet and pay your pet deposit? Do you have an insurance policy to protect you regarding pet damage? Do you pick a pet that fits your lifestyle or do you discard your pet if it doesn’t “work out”? Do you leave a choke collar on your pet at all times to be caught on protruding objects which may cause death? 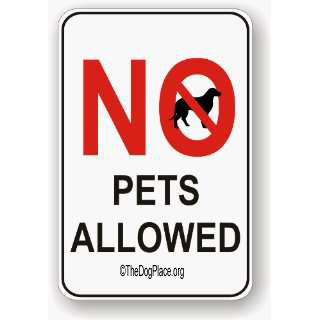 Do you obtain permission before taking the pet to another’s home or activity? Do you cut toe nails periodically so your dog doesn’t become crippled? Do you check for and address health issues in a timely manner? Do you take care of dental hygiene for your pet? Do you clean ears and eyes periodical? Do you use flea protection and heart worm preventative? Do you have an overweight pet due to eating foods “NOT fit for a dog”? Do you accept responsibility for the pet you “could not live without” when you seek another source of entertainment? Do you monitor small children with your pet or do you make sure your children accept responsibility for their care? Do you pick up clothing and other items from the floor or do you reprimand your pet when it is destructive? Do you pick up dropped medication? Do you keep household cleaning items secure? Do you visit a dog park? Do you keep your pet on lead until compatibility is established? PETS ADD TO OUR EVERYDAY LIVES AND WELL BEING. ARE YOU A RESPONSIBLE PET OWNER? ASK YOUR NEIGHBOR, ASK YOUR VET! ASK YOUR PET! !